The world of digital marketing continues to evolve at a rapid rate. What might have been an effective strategy last year may no longer be relevant this year. 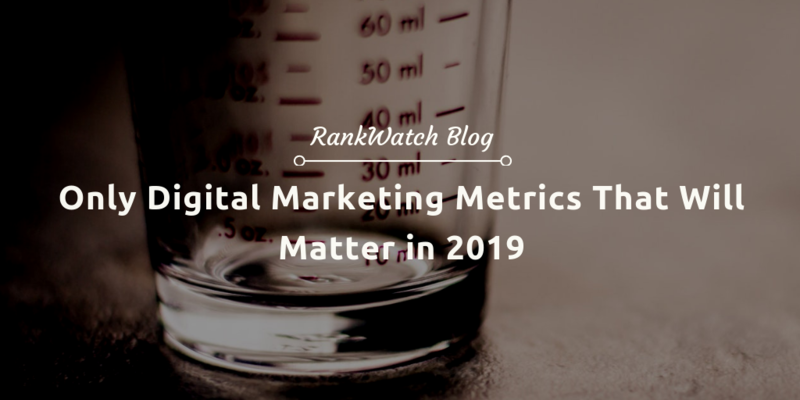 Below is a discussion of how trends could change, and how you can be more efficient with measuring the results of your marketing campaigns by focusing on the metrics that matter in 2019. The year 2018 was an interesting time in the digital marketing world. It was the year when data privacy concerns came to the forefront, highlighted by Google and Facebook executives making appearances in Congress. And people have taken notice, with 84% of consumers saying they will abandon their online shopping carts on an insecure website. Aside from security issues, a majority of companies are also seeing the necessity of improving SEO. Over 61% of companies said security was their priority for 2018. And with SEO triggering a conversion rate of 14.6% compared to 1.7% for traditional outbound methods, who can blame them? Lastly, it was a year when content reigned supreme yet again. High-quality content was found to have the ability to increase blog traffic by up to 2,000%. Despite the public scrutiny that hounded Facebook in 2018 and the clamor to #deletefacebook, the social media giant’s user base remains strong. It was found to be the #1 social media platform in the US and the perfect channel to target senior demographic, with 41% of its users being over the age of 65. The rich continue to get richer, as the younger under 30 demographic that Facebook lost, transferred to Instagram – a platform it also owns. And with a new wave of diverse influencers, the youngsters seem to stay glued to the gram. Also, email still isn’t lost in the mix in 2019. However, it’s important to note that generic emails of the past won’t cut it anymore. Personalization will be key as emails are often viewed as the final “trigger” to motivate desired actions when aligned particularly with other marketing strategies. As the amount of data available to businesses continues to increase, you will need to identify which metrics actually affect your bottom line. Vanity metrics may look good on paper, but they don’t always impact your business goals. Short of spying on your competitors, what else can you do to ensure that you don’t fall into the same old pattern of being blinded by attractive data that doesn’t really do much? 1. Hello, Customer. Where Are You From? Traffic by Source lets you know exactly where your visitors are coming from. 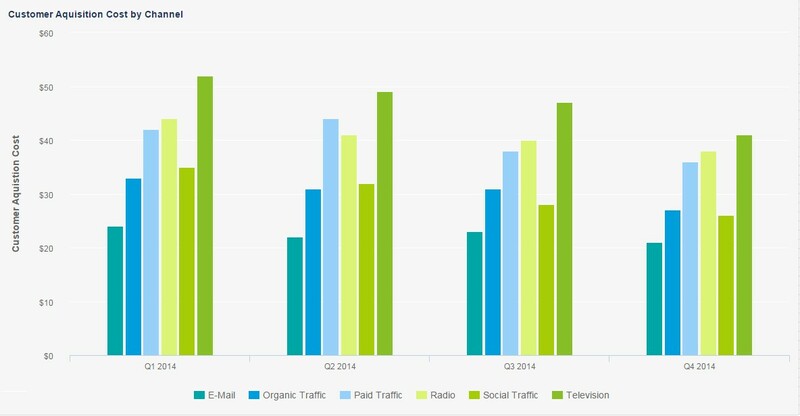 Are they coming from organic searches, direct, or social? How long do they stay? Which ones convert? Using this data, you can find out which channels are working for you and which ones could use improvement. 2. You Only Clicked One Page – Stay! Pages-per-session lets you know the number of distinct pages a user viewed when they visited your website. This metric gives you a clear idea of how engaged users are with your brand. As pointed out by HQDigital, if you combine this powerful metric with time-on-site and top entry and exit pages, you will identify which areas you could improve on. By doing so, you will be able to optimize all your pages for maximum engagement. 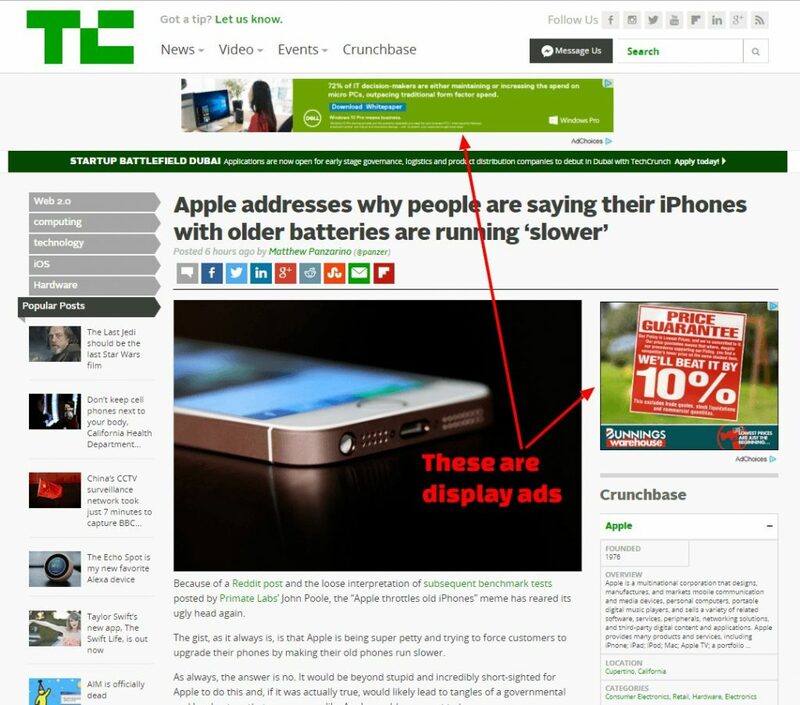 Many marketers have washed their hands off display ads simply because they are very easy to miss. In fact, try to think of when you actually looked at a display Ad – what made you look in the first place? And did you even click? * Cost vs Conversion – Know your cost per thousand impressions and cost per conversion. If your ads are pricier than what you’re earning, then you’d be better served to place your money elsewhere. * Engagement – Check your click-through rate and landing page interaction. Are your clients clicking the ad and then leaving? Are they interacting with your pages before they leave without converting? Closely analyze these patterns to see what you can do to improve your campaign. * Click-through rate – Make sure that enough people are opening the email and responding to your CTA. If they aren’t, then that means something is wrong with your campaign. Write smarter copy, provide personalized, relevant content. If your emails are being left unopened, then change is in order. * Conversion rate – This is the bottom line of nearly every campaign. If your emails aren’t converting, go back to the drawing board and tweak your emails again. * Bounce rate – Do you have inactive emails on the list? Remove it after a couple of bounces to protect your email’s credibility. Once you have determined your goals, you’ll know which metrics you should focus on. A good rule is to audit your last year’s social media performance and see what you can improve from there. On Twitter, for example, there are a number of free analytics tools that can help with a proper social audit. 6. Where Are You Ranking? Knowing which keywords to target are important if you want to stay ahead of your competitors. You can start by identifying which keywords you want your website to rank on. For those you’re already successful with, continue using high-converting keywords in your content, campaigns, and landing pages. Your top ranking keywords are your premier traffic source. Capitalize on the success you already have. Your customer acquisition cost (CAC) includes all costs required to turn a potential customer into an actual customer. And as the bottom line of all businesses, you should pay close attention to measuring your acquisition costs. Datapine suggests splitting CAC into different channels or campaigns per quarter, as shown in the image below. It would also be wise to study your CAC every quarter and after each campaign. When you get a deeper understanding of your CAC, you’ll be able to see where you’re investing wisely, and which costs you can cut. To help you get started, Shopify has a guide for becoming more efficient with your customer acquisition. 8. Okay, So How Much Did You Earn? Finally, is your return on investment (ROI) substantial? 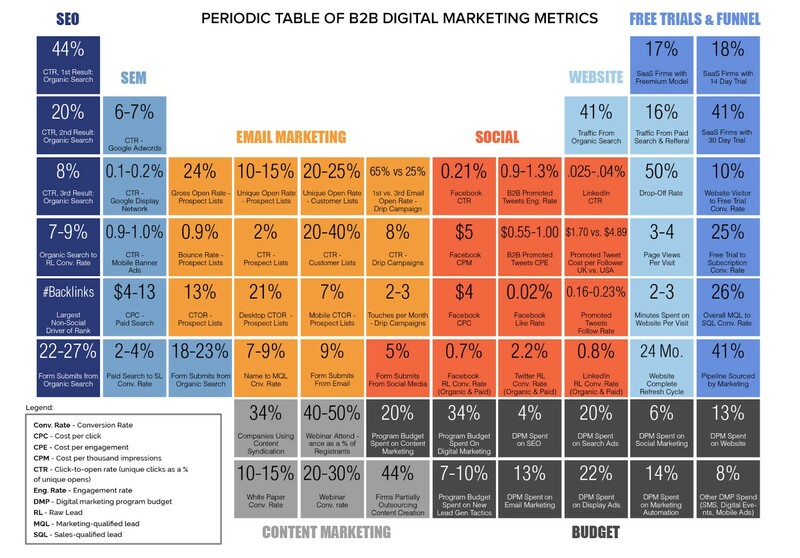 Which areas of your digital marketing campaigns are bringing in money, and which ones are not. Understanding your revenue metrics allows you to improve specific areas like producing higher quality content for better engagement, higher conversion, and ultimately, bigger revenues. These are among the most important metrics you should focus on this 2019. Are you focusing on something else aside from the ones mentioned on this list? Let us know in the comments below.